In this section, we will discuss the parameters that need to be considered while designing a high-performance liquid distributor. The drip point density is the specific number of final distribution points per m2 of cross-section area on top of the packing bed. 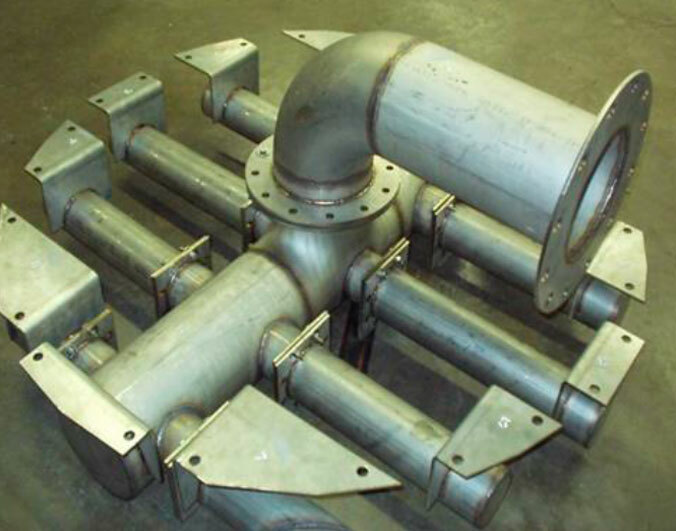 For systems in contact with low to medium liquid load, minimum outlet diameters and minimum liquid levels result in maximum achievable density. The quality of distribution can be expressed as a value. A distributor with a free overflow, (q = 40%), only saturates the line between the trough with water. 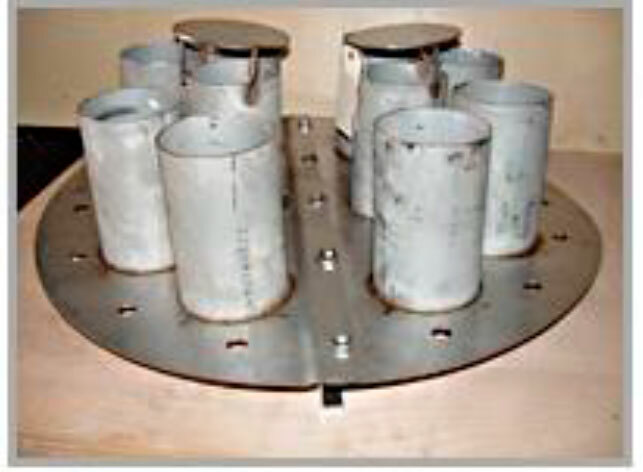 A distributor with a base hole (q=60%) generates a concentrated area below the trough. A distributor with a side hole (q=80%) and pipe guidance system creates the best distribution pattern, where empty spaces are at a minimum. A good liquid distributor releases water from its outlets in a uniform flow. The minimum distance to the bed is determined by the gas flow and the maximum distance by the height which the liquid drops and its impact momentum on the packing. Normal distance range between 80mm to 250 mm. In most cases, distances ranging from 120 to 160 mm provide trouble-free operation. As the distance from the bed increases, the speed of the falling liquid jet also increases and the impact momentum on the bed is so high that a significant amount of fine splash droplets is generated. These droplets may be carried away by the gas flow. Avoidable entrainment problem may occur through a pressure increase in the droplet separator or through its flooding. The upper section of the bed does not achieve its full efficiency either with random or structured packings. The liquid must first spread out radially to be able to develop an effective area typical for actual load and systems. As a rule of thumb, a depth of 0.25m is assumed for random fills and the depth of a layer for structured packing. For structured packing, attention must be paid to the orientation of the distributor to the direction of the packing sheets. To ensure that liquid is applied to as many gaps in between the foils as possible in the first layer a distributor orientation of 45 degrees to the sheet is recommended. 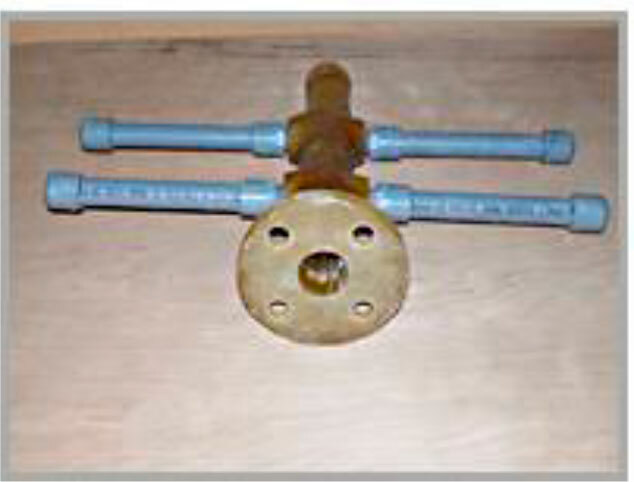 Liquid distributors always present a resistance which generates a pressure loss for the gas flow. The free gas cross-section should, therefore, be designed to be as large as possible. This is often in conflict with the distribution quality. 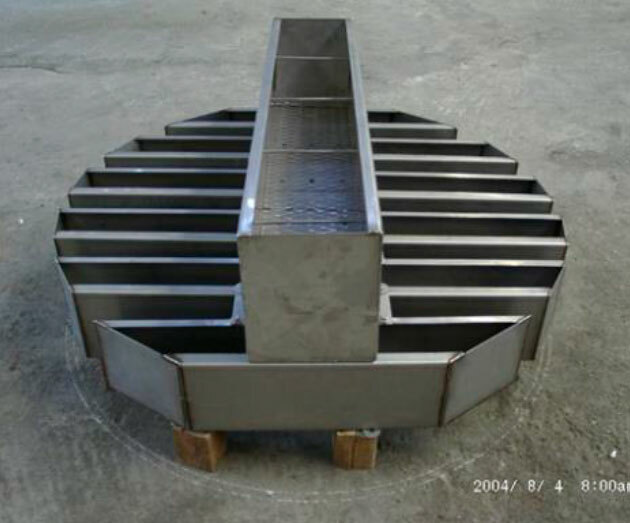 MACH Engineering is experienced with liquid distributors and other tower internals. Contact us for more information regarding our expertise or for more information.